because i feel like spreading happiness today ... i think it is due to my massive procrastination efforts regarding a bitty flash project. 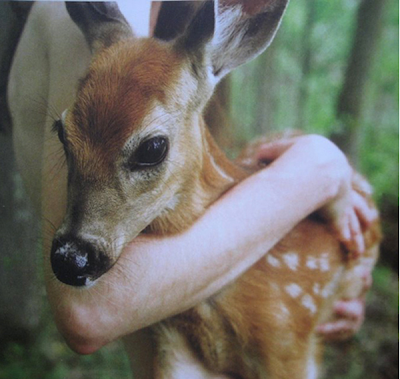 in the meantime i'm going to hug frances and pretend she is a deer. That is the sweetest picture ever!! Heavens! I love your blog. that little fawn just killed me. How sweet... It made me smile!